Great stuff, you really used your creativity for these! I'll have a Cosmopolitan please! Wonderful. You did a great job drawing and coloring your own cocktail. It looks fabulous and I love the use of the big pink gem. WOW! Didn't think to "draw" something...you did a fabulous job with this...simply beautiful! what a clever card, jenni!! you rose to the challenge brilliantly!! What a great idea for a text element! Nice cocktail glass, too. well done on drawing your own cocktail, I love the idea of the cocktail names as a background. Great idea to use the cocktail names as text, nice one. 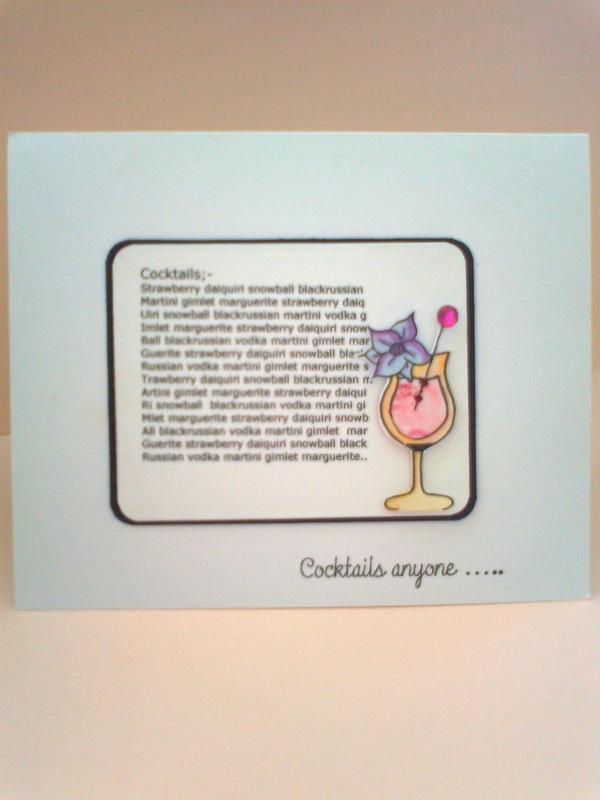 Great card - love how you have used the cocktail list. 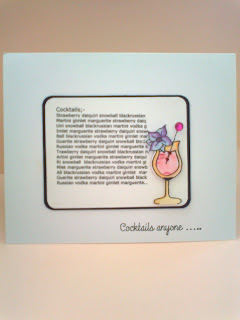 I like your card - the cocktail glass looks fab and I do like the list of cocktails too! 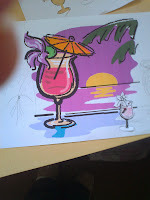 Thanks for visiting my blog and your kind comment :D.
Your card is fabulous, how good of you to draw the cocktail yourself! What a fabulous idea, love the drawing and the colouring fabulous entry. This was a stumper but caused some of us to get very creative. I wish I could draw like that! love your idea - fabulous colours and a great design! Great job with the cocktail challenge!! Looks good enough to drink right there!! !